He’s one of the best goaltenders on the planet. He’s a Stanley Cup winner. He’s also an MVP. 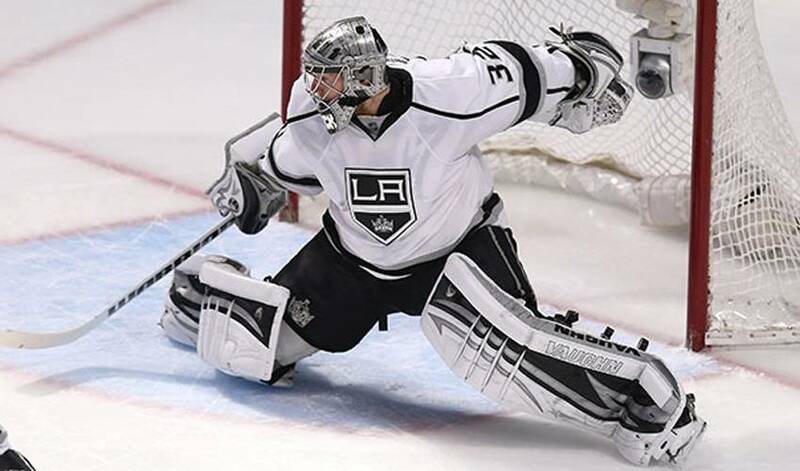 But for Jonathan Quick, his most cherished accomplishment has nothing to do with hockey. In the midst of this year’s NHL playoffs, just one day after the Los Angeles Kings had eliminated the San Jose Sharks in the Western Conference semifinals, there were any number of things, hockey-wise, Quick could have talked about. Carter Quick was born on April 9. It was the second child for Jonathan and his wife, Jaclyn. Their daughter Madison was born on March 12, 2010. Where does Quick fit in to that routine? “I just listen and follow along,” he laughed. The Connecticut-born backstopper has found the perfect balance between home life and his hockey career, a proud father and a primetime performer on the sport’s biggest stage. And while this season didn’t turn out the way he and his teammates had anticipated, Quick expects the Kings, who lost in the West finals to eventual champion Chicago, to learn from the experience of being eliminated from Cup competition. Now, Quick will take the summer months to spend quality time with his young family while also training in preparation for the 2013-14 NHL season. All of that suits one of the game’s best just fine.